Stuck on something? Email us! Or read on to find answers to commonly asked questions about how to use this website and membership benefits. The quickest way to contact the network team is by sending an email to community@namati.org. We are always happy to hear from members and no question is too basic! We monitor that mailbox closely and try to respond to all messages as quickly as possible. Refer to the New Member Checklist for a simple list of tasks you can do to help set you up for success here in the Global Legal Empowerment Network. On the first day, you will want to set up your member profile and discussion preferences. After that you can relax and take your time! Take 10-15 minutes to explore the most popular discussion topics and get to know our community. On subsequent visits you can jump into discussions that interest you or start new topics to share your own questions, news and opportunities. Before contributing to discussions, please read the Community Guidelines. Moderators, listed on the About page, are community members who have agreed to help manage discussions. You can contact them for help via PM (personal message) to @moderators and also communicate with them about specific posts using the flagging system. Their role can be compared to that of a gardener. Moderators contribute to discussions, but also are responsible for helping to ensure that the discussions are unfolding in a nice and orderly fashion, that everyone in the community is happy and feels empowered to contribute, and that old, unused content is removed. Not to overly stretch the gardening metaphor, but imagine categories and topics being plants in your garden that need to be pruned, fertilized and sometimes transplanted so they thrive. They also need be weeded sometimes to give them room to flower and look their best. Can I participate in my language? Most discussion here happens in English, but if you prefer to participate using a different language you can still do so by choosing a different interface language via your profile settings and then making use of the “translate” link (looks like a globe) below posts. You can write your posts in your own language. What are badges? How can I earn badges? Badges are a helpful tool for you to see where you and your fellow members stand in the community, and also for moderators and the Network team to monitor community health and growth overall. The Badges page lists all available badges. Each is described there and has a link to a list of all members who have achieved the badge. They also show up on profile pages and on user cards that pop up when you click on someone’s picture. Some badges simply show that you are meeting basic criteria (completing your bio and reading the community guidelines, for example). Others show achievements or identify you in a particular role (Core Members get a , for example). How do I add formatting and links to posts? Formatting of posts is handled through markdown, a simple syntax that is legible in its raw form but looks amazing when published. Markdown takes a little time to learn, but you can use the online editor to learn the basics. Once you have it down it is super easy to use. You can then draft beautifully formatted posts anywhere, even offline in a plain text editor, before logging in to paste it into the editor! Here’s a snapshot of the online editor that appears when you start editing a post. As you can see, you can use the editor to teach yourself markdown syntax to add bullet points, headings, or bolded text. Use the preview to experiment. The text you are writing on the left appears on the right just as it will look when you save your post. How do I share topics via email and social media? Select the link below any post to share it. A helpful popup will give you the link for you to copy and paste anywhere, or you can click sharing buttons to share by email, facebook, google plus or twitter. You will notice the link is special and contains your own username at the end. Use this to collect sharing badges! Why did you edit my post? We are maintaining community discussions for the long term, which sometimes means editing posts to fix small typos and formatting issues or to correct or update terminology. Typically we will let you know when we make an edit but sometimes do not - if we don’t let you know and you have a question just flag the post and choose “Something else” as the reason to contact the moderator team. Why did you edit my post to remove contact info? We generally remove contact info because it take up space and interferes with the flow of discussion. It is also not really needed (click on member picture in discussions to learn about them and send them a message). And finally, we want to be careful about the sharing of personally identifiable contact info in forum topics. Your circumstances may change in future and you may not want to have had your contact details published online. If you ever ask us to delete your account, we will anonymize what you write in the forum but the contents will remain. I am new here. Why can I not send personal messages? You are bumping up against an anti-spam feature. New members are required to spend some time reading discussions before they are promoted a trust level enabling them to send direct, personal messages to other members. Keep in mind that as a community we seek to have as much conversation happening in public as possible, for the benefit of everyone. 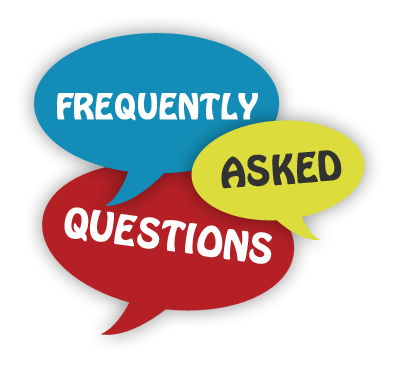 So if your question is not confidential, we recommend you ask it in a public topic in the most closely relevant category. Will you email me about network opportunities and activities? Yes! As a member, you will receive mailings from Namati and the network team from time to time to make sure you don’t miss out on important and valuable opportunities for sharing and learning. Also, on your forum preferences you can see and customize your email settings. By default you will not be emailed while you are active on the website, but will be sent if we haven’t seen you for a while. You also will automatically be subscribed to be notified about updates to topics you have been reading and contributing to. You can also bump up your notification level to “watching” for categories you are especially interested in. Who is most active? What topics are most popular? The Users page displays a leaderboard of the most active members. You can compare yourself to others and also filter by user or time period, and sort the list by various activity criteria. The Top Topics page is a great place to see the most popular topics. You can filter by category or tag and also search by time period, and sort the list by replies, views or date of last activity. Another useful page is About, which provides up to date aggregated statistics about site activity and users. Our network is made up of organizations that work in the legal empowerment field. Your organization might fit into one of the following groups: civil society, human rights, NGO, law firm, grassroots organization, university or other educator, media, or donor organization. You might address the provision of legal aid, or you might focus on rights to health, citizenship, land, or any other number of justice issues. If you are striving to advance justice, then you are a perfect fit. Core Members are the heart of our network. Often our most active participants, Core Members build their skills at networking events, share their experiences online, and weigh in on the priorities of our network. You can apply for core membership by submitting an application. More details and the application form are at https://namati.org/network/core. What is difference between Members and Organizations? There are two types of profiles on the network. A member profile is a personal profile, representing you as an individual, and your own experience and interests within the legal empowerment field. An organization profile features an organization and contains details about the organization such as its mission, history, region, and vision for the future. How do I change my organization? You can change the organization you are affiliated with in the network by editing your profile. You will want to first check to see if the organization is already in the directory. If it is not, you will see an option there to add it. Note: you will automatically become the network champion (official contact) for the organization you add, which means you can update organization details anytime and apply for core membership. How do I update my Organization? Organization profiles can be updated by the network champion (official contact) associated with the organization. If you are logged in and do not see the edit Organization option on your organization’s profile, then you are not currently set as the network champion. How do I update my picture? You can update your member picture via your forum preferences. For best results, use a photo that shows your face with a friendly smile against a simple background. You can update your bio via your dashboard. Thank you for contributing to the resource library! Sign into the Network and look for the UPLOAD RESOURCE button on your dashboard or on the Resources menu. On the upload form you can provide a link to the resource online and/or the actual file, a title, attribution and a description. Once uploaded, your resource will be reviewed by the Network team. If it is suitable for inclusion in the resource library it will be tagged and then published. Throughout the process, we will be in touch with you via personal message here on the forum. How do I update or remove a resource? Once uploaded, resources are maintained by the Network team. If you would like to suggest an improvement or removal, please use the Report this resource link on the resource page. How to I report an issue with a resource? Thanks for helping us make the resources library better! Look for the Report this resource link on resource pages, which you can click on to let us know about improvements we can make to specific resources. You will then be taken to a form where you can report the type of problem and action you’d like us to take. Be sure to provide your name and email address if you want us to follow up with you! Can I change my email address? How is it used? Sure! You can change your email address by editing your profile via the dashboard at http://namati.org/network/dashboard. Can I change my username? How should it appear? Please email the Network team at community@namati.org to request a username change. We recommend you use your own full name as your username, without spaces or extra characters. This makes you easier to find and mention in discussions, and clearly distinguishes your identity from your organizational affiliation. How do I delete my account? Remove my organization? We’re sorry to see you go! Please select “cancel my account” link at the bottom of the Edit Profile page, or contact community@namati.org. Note: your forum posts will be anonymized to avoid breaking the flow of conversation, so if you are concerned about a specific post please flag it for the moderator team. Please use the “report this organization” link on your organization’s profile page to let us know and we will remove it. How do I report spam or offensive content? Please flag discussion posts that are spam, offensive or otherwise do not meet our participation guidelines (see above). Our moderator team will then take the appropriate action. You can also use a report link on profile pages and resources. How do I report a website bug or suggest improvements? Thank you for helping us identify problems and improve our website! Please email us at community@namati.org. If you are reporting a problem, please provide a screenshot if you can (here’s how) and describe in as much detail what you are trying to do, the browser and device you are using, what you see on the page and how what you see differs from what were expecting. The Network team is standing by to help! Please contact us at community@namati.org anytime and we will get back to you as soon as possible. Great - we’d love to hear from you! The best way to reach us is to use the contact form where you can specify which office you want to reach and send a message. You can also write to community@namati.org and your email will be directed to the appropriate destination. Welcome Bangladesh exchange participants to our community discussions platform! How do I update my member picture ? How do I update my organization profile?